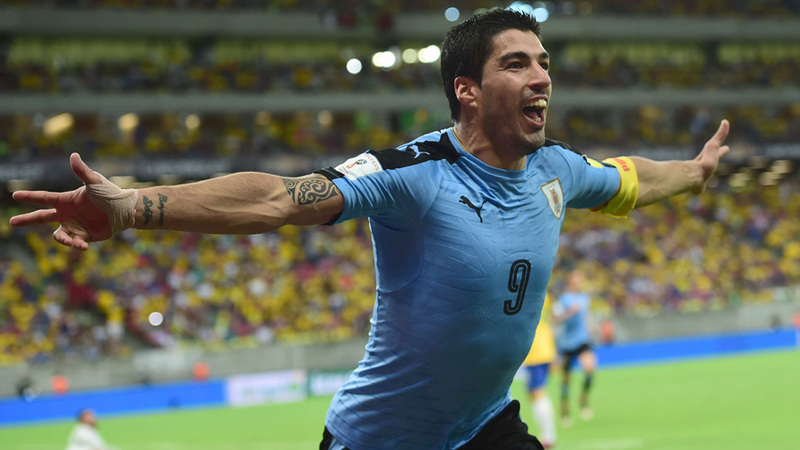 Who is playing in Copa America Centenario? Check out the rosters for each of the 16 teams. Copa America Centenario kicks off June 3 at Levi's Stadium in Santa Clara, California, with the host United States taking on Colombia to kick off the 100th anniversary of the Copa America tournament. Final rosters were due by May 20, with preliminary, 40-man squads already submitted by each of the 16 teams. From those rosters, managers have cut down to the 23 players they will take to the competition. Despite Neymar's absence, the tournament will include the likes of Lionel Messi, Javier "Chicharito" Hernandez, Alexis Sanchez, James Rodriguez and other international superstars for this one-of-a-kind summer spectacle. Scroll below for each team's final roster for the competition. 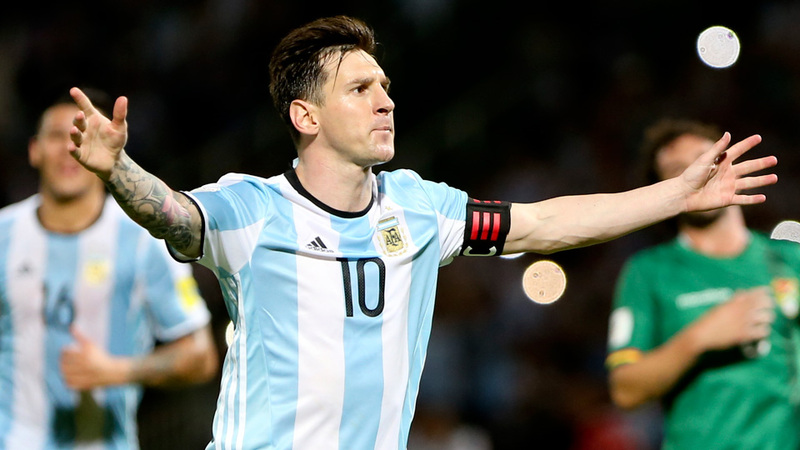 As expected, Argentina is bringing a loaded roster to Copa America, and it's headlined by Lionel Messi. Messi will come to the United States this summer, joined by the prolific likes of Sergio Aguero, Angel Di Maria, Gonzalo Higuain and Ezequiel Lavezzi, with all of them part of Argentina's 23-man roster that was revealed by manager Gerardo Martino on Friday. Carlos Tevez and Paulo Dybala are high-profile omissions who will not make the trip this summer. Messi, who is six goals shy of Gabriel Batistuta's national record of 56, captains Argentina, which begins its tournament at Levi's Stadium in Santa Clara, California on June 6 against Chile in a rematch of the 2015 Copa America final. Argentina is aiming to end a 23-year major trophy drought, with Messi looking to lift a trophy on the international senior level for the first time. Panama and Bolivia are Argentina's other opponents in the group stage. 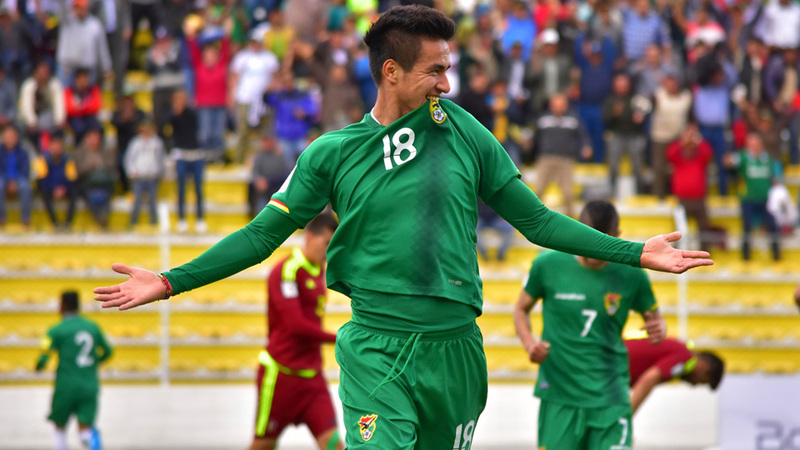 Copa America Centenario longshot Bolivia released its roster for friday, with manager Julio Cesar Baldivieso turning to a 23-man squad of which the majority is based in Bolivia's domestic league. Just five of the 23 play club soccer outside of Bolivia, including forward Yasmani Duk of the New York Cosmos. Bolivia, which is 1-5-0 in 2018 CONMEBOL World Cup qualifying, is in one of the toughest groups in the competition, going up against Argentina, Chile and Panama. It opens its tournament against Panama on June 6 in Orlando. As part of tuning up for the competition, Bolivia will play the USA in a friendly at Sporting KC's Children's Mercy Park on May 28. After leaving some big names off his 40-man preliminary Copa America Centenario roster, Brazil manager Dunga has made a couple of more high-profile cuts for the final squad he'll be bringing to the United States this summer. Chelsea midfielder Oscar and Liverpool's Roberto Firmino are among the 17 players who did not make the final cut for Brazil, which will play Ecuador, Haiti and Peru in group play in next month's competition. With Neymar already ruled out of the competition and committing to playing only in the Olympics, Dunga had omitted the likes of David Luiz, Thiago Silva and Marcelo from his preliminary squad. 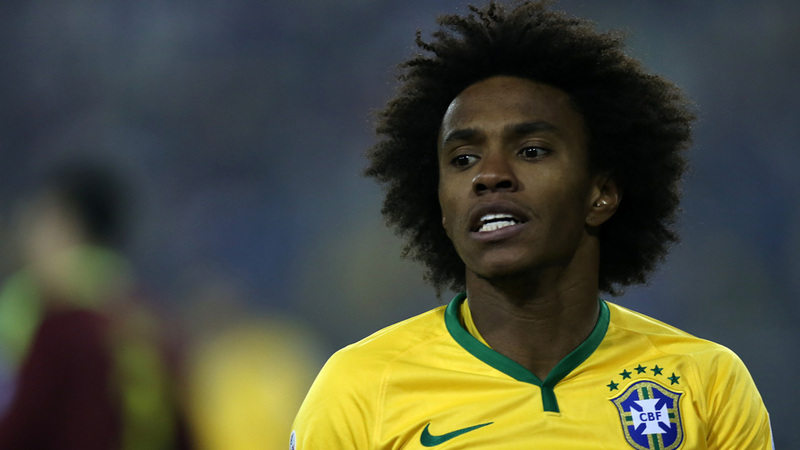 As for those who will be playing for the Seleção, the roster is headlined by Chelsea's Willian, Zenit's Hulk, Barcelona's Dani Alves and Liverpool's Philippe Coutinho. WAHL: What's Neymar's market value? Orlando City captain Kaká was initially left off as well, but with Douglas Costa ruled out with a thigh injury, Dunga turned to the former FIFA World Player of the Year as his replacement. Then Kaká needed an injury replacement of his own. A muscle knock force Dunga into another change, with Paulo Ganso getting the call to fill the void. That will be unwelcome news to fans in the Orlando area, with Brazil playing Haiti at the Citrus Bowl on June 8. Defending Copa America champion Chile will bring a veteran, star-laden squad to the United States in hopes of lifting the trophy for a second straight summer. The 2015 hosts and champions are led by Bayern Munich midfielder Arturo Vidal, Arsenal forward Alexis Sanchez, Bayer Leverkusen midfielder Charles Aranguiz and Barcelona goalkeeper Claudio Bravo in addition to a host of other veteran players. The one big difference will be on the bench, where manager Jorge Sampaoli's departure has made way for Juan Antonio Pizzi. 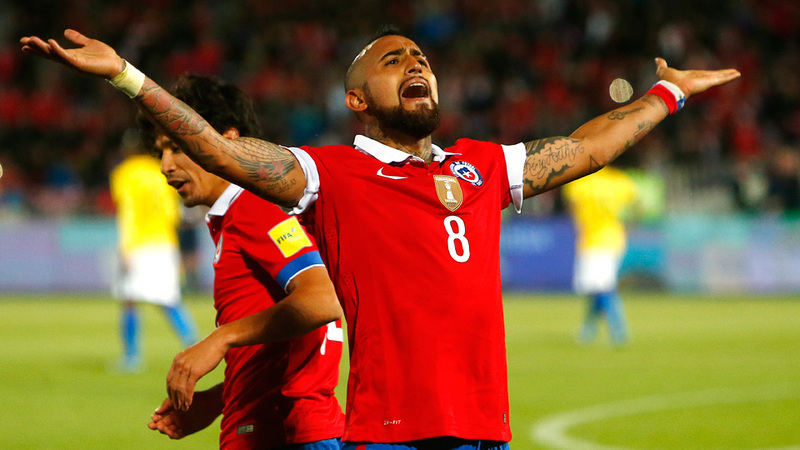 Chile will play in Group D along with Argentina, Panama and Bolivia. La Roja's opening match on June 6 against Argentina will be a rematch of the 2015 final, which Chile won in penalty kicks. James Rodriguez, Carlos Bacca and Juan Cuadrado headline Colombia's Copa America Centenario team, which will open the tournament against the United States on June 3 at Levi's Stadium in Santa Clara, California. The attack will be without the likes of Jackson Martinez, Radamel Falcao, Fredy Guarin, Teofilo Gutierrez and MLS's Fabian Castillo and Cristian Higuita, as they were not summoned by manager Jose Pekerman, who guided Los Cafeteros to the quarterfinals of the World Cup in 2014. James was at the center of that run, scoring a tournament-best six goals in his breakout summer and earning a move to Real Madrid soon after. He'll captain Colombia this summer after competing in the Champions League final with Real Madrid, and he'll guide the attack along with Bacca, whose 18 goals for AC Milan were third most in Serie A this season. 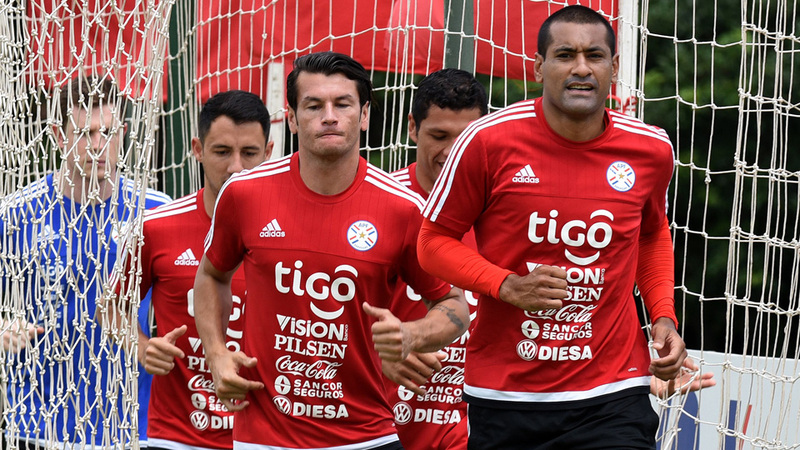 The core of Costa Rica's 2014 World Cup quarterfinalist squad returns to lead Los Ticos at Copa America Centenario. The likes of Arsenal forward Joel Campbell and Sporting Lisbon midfielder Bryan Ruiz will guide Costa Rica, which is in the USA's Group A along with Paraguay and Colombia, though Real Madrid goalkeeper misses out with an Achilles injury. The are new faces in defense, with World Cup holdovers Johnny Acosta, Oscar Duarte, Michael Umaña and Christian Gamboa being joined by five others, including MLS defenders Kendall Waston and Ronaldo Matarrita. Everton's Bryan Oviedo, who missed the World Cup with an injury, is included in the squad as well. Another change is in the dugout, where Oscar Ramirez is the manager for Costa Rica, with Jorge Luis Pinto now in charge of Honduras. Ecuador will compete in Copa America Centenario without one of its prime attacking pieces. Espanyol striker Felipe Caicedo, who has a CONMEBOL-best four goals in 2018 World Cup qualifying, will miss Copa America through a thigh injury, but La Tri still boasts veteran talent on its final 23-man roster, which was released by manager Gustavo Quinteros on Wednesday. Enner Valencia, Jefferson Montero, Antonio Valencia and Michael Arroyo will lead the attacking charge for Ecuador, which is grouped with Brazil, Peru and Haiti for this summer's competition. Captain Walter Ayovi marshals the defense for Ecuador, which is 4-1-1 through the first six games of World Cup qualifying and tied for the most points with Uruguay. Haiti's 23-man roster for Copa America includes six players who play their club soccer in the United States. MLS's Soni Mustivar (Sporting Kansas City) is joined by five players in NASL–four of which have MLS experience–for the Haitians, who will look to replicate their Gold Cup feat from last summer and surprise to get out of the group stage. 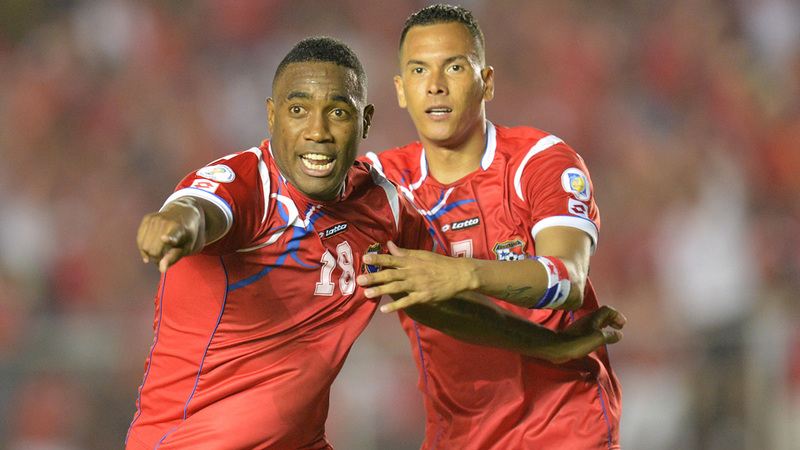 Haiti is the longshot in Group B along with Brazil, Ecuador and Peru and opens against Peru on June 4 in Seattle. Forward Duckens Nazon was Haiti's leading scorer last summer with a pair of Gold Cup goals, and he returns to help lead the front line along with Kervens Belfort and Jean-Eudes Maurice. Leicester City captain Wes Morgan already took part in one beat-the-odds story this year. One more this summer, and he'll complete the most improbable club-country double ever. 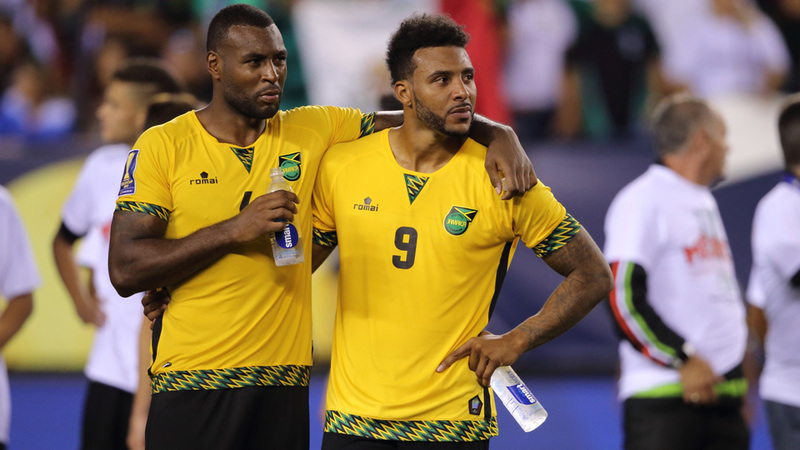 Morgan, who lifted the Premier League trophy just a couple of weeks ago, guides the Reggae Boyz at Copa America Centenario, along with other England-based defenders Adrian Mariappa and Michael Hector and MLS attackers Simon Dawkins and Giles Barnes. Jamaica, under manager Winfried Schaefer, proved its international chops last summer, making a run to the Gold Cup final that included beating the USA in the semifinals. It's paired with the team it fell to in the final, Mexico, along with Uruguay and Venezuela in Group C play at Copa America. Panama manager Hernan Dario Gomez will bring a veteran squad to take on a tough group in Copa America Centenario. Panama, which must play defending Copa America champion Chile, Lionel Messi's Argentina and Bolivia in Group D, will have the stalwart likes of Blas Perez, Luis Tejada, Felipe Baloy and Jaime Penedo suiting up this summer, one year after pipping the United States to a third-place finish in the CONCACAF Gold Cup. San Jose Earthquakes midfield tandem Anibal Godoy and Alberto Quintero will also make the trip, although center back Roman Torres will not as he continues his recovery after suffering a long-term knee injury with the Seattle Sounders. Paraguay manager Ramon Diaz has called on a veteran, mostly North and South America-based roster for Copa America Centenario. Only five of Paraguay's 23-man squad are based in Europe, with a heavy contingent from Liga MX and Paraguay, Argentina and Chile's domestic leagues. Seattle Sounders forward Nelson Valdez is the only U.S.-based player and will be part of a potentially dangerous attack, which features 34-year-old veteran and Malaga forward Roque Santa Cruz and Queretaro's Edgar Benitez. World Cup and Copa America veteran Lucas Barrios misses out on the competition. 22-year-old talents Derlis Gonzalez and Juan Manuel Iturbe (who switched allegiances from Argentina in March) round out the attack, which will test the defenses of Group A foe Colombia, Costa Rica and the United States. 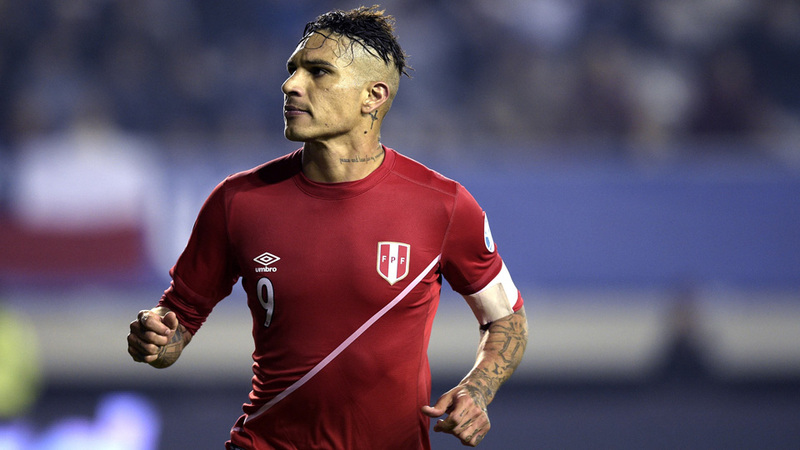 Paolo Guerrero will lead a Peru side that will be without veteran attackers Claudio Pizarro and Jefferson Farfan at Copa America Centenario. Guerrero, whose four goals last summer led Peru to a surprise third-place finish and were tied for the most at Copa America in Chile, guides the Blanquirroja. Peru is leaning on a mostly domestic-based side, with Guerrero one of just six players based abroad making the trip to the USA. Peruvian side Universitario supplies six players to the final squad, while Sporting Cristal accounts for another five. Peru is in Group B along with Brazil, Ecuador and Haiti and opens the competition against the Haitians in Seattle on June 4. U.S. men's national team manager Jurgen Klinsmann has lifted the lid on a couple of notable developments ahead of Copa America Centenario: Jordan Morris will not be on this summer's squad, while Brad Guzan will be his No. 1 goalkeeper. The U.S. released its final 23-man roster on Saturday, with 17-year-old Borussia Dortmund rising talent Christian Pulisic making the squad, but the 21-year-old Morris missing out. An otherwise established core of veterans will take on Colombia, Costa Rica and Paraguay in group play at next month's competition. Klinsmann has turned to 15 players from his 2014 World Cup squad, including captain Michael Bradley, Clint Dempsey, Jermaine Jones, Geoff Cameron, Kyle Beckerman, Tim Howard, Brad Guzan and Alejandro Bedoya. Guzan will be Klinsmann's starter this summer, according to U.S. Soccer, with Howard and 20-year-old Ethan Horvath backing him up. It marks Horvath's first senior national team camp. Just 10 of the 23 are with the team in its current "transition camp," which concludes Sunday afternoon with a friendly at Puerto Rico before the full Copa team gathers together. STRAUS: What can we really glean from USA's friendly vs. Puerto Rico? After a slow start to his MLS career, Morris has rounded into form with four goals and an assist in his last five games. Given Klinsmann's affinity for him and his skill set, fearlessness and productivity prior to his professional days, one would've thought that his recent scoring outburst in MLS would've had him safely in the final 23. Instead, it appears that Wondolowski, whose seven goals are one off the MLS lead, has beaten him for the final forward place. Did Morris's decision to choose Seattle and MLS over Werder Bremen play into this at all? Nobody knows that except Klinsmann, but the fact that he chose a veteran MLS forward would dispute that narrative emphatically. Klinsmann loves Wondolowski's selfless nature, experience and ability to carve out chances in dangerous areas, but if there's one roster debate that will drive many fans wild, it's this one. "We believe that players really played their way into that roster, and it’s difficult," Klinsmann said in comments released by U.S. Soccer. "There are some situations that probably the fans will now discuss. Why not Jordan Morris and Wondo is in there? Well, because Wondo proves all the time that he’s just is so hungry for goals, and Jordan is on his way through the ranks coming up." Without Altidore being available, Klinsmann opted for a player more useful for direct play over one likely to have more dynamic potential. Johnson enjoyed a fantastic season with Borussia Monchengladbach, doing his damage from a wide midfield role and scoring six goals (and playing some of his best soccer against Champions League competition). Naturally, it appears he'll be a defender this summer. With a thin fullback pool that features just Yedlin and Chandler as true options, the U.S. staff prefers that Johnson's services are used on the back line. With that being the case, expect a starting back line of (L-R) Johnson, Brooks or Besler, Cameron and Yedlin against Colombia on June 3. Meanwhile, the continued reliance on the likes of Orozco and Chandler, who have both exhausted their opportunities without truly showing they are international-caliber defenders at the highest level, remains a head-scratcher. It's in part a product of the fact that the established U.S. fullback pool is thin and both are options on the outside with whom Klinsmann is familiar. Still, it feels a bit like Groundhog Day, and at this point there simply has to be better alternatives ... right? Guzan will start in net for the U.S., putting an end to the goalkeeper tug-of-war between him and Howard. Klinsmann certainly could not have foreseen Guzan and Howard both losing their starting jobs in the Premier League this season, and the "race for the No. 1 shirt" surely has felt more like a battle between the lesser of two evils over the last six months. Guzan fell out of favor at the worst team in England, while Howard did the same at an Everton side that limped to the finish line (and if you saw how Joel Robles played down the stretch, you wonder how Howard didn't start more than the final two home games). It's not what you're hoping for from your defensive leaders entering a major competition. At his age and being untested on the highest international level, Horvath was never going to unseat the two mainstays, but you do wonder how far he is from competing for minutes. Klinsmann easily could have taken another veteran goalkeeper like Nick Rimando to be more secure about his options, but he chose Horvath. Guzan will handle the reins, with Howard, who quietly cannot be happy about this, eager to step in if necessary this summer. At the very least, there's a new No. 1 contender for both veterans' top status on the road to Russia 2018. "We decided to really go with Tim Howard and Brad Guzan as the two leaders still, because we believe their experience and their leadership will help us a lot," Klinsmann said. "We brought in Ethan Horvath as a third goalkeeper to build him for the future, to learn from Tim Howard and Brad Guzan but also to get his first taste of what such a tournament means. We go into the tournament with Brad Guzan being the No. 1. That’s been communicated clearly to Tim and Brad. We believe that Brad deserves it. Brad, throughout the last two years, played very consistently and very solid with us.